Sahtu MLA Norman Yakeleya says he's convinced that fracking — needed to unlock unconventional sources of oil and natural gas — can be done safely, despite the concerns being voiced by some in his region. 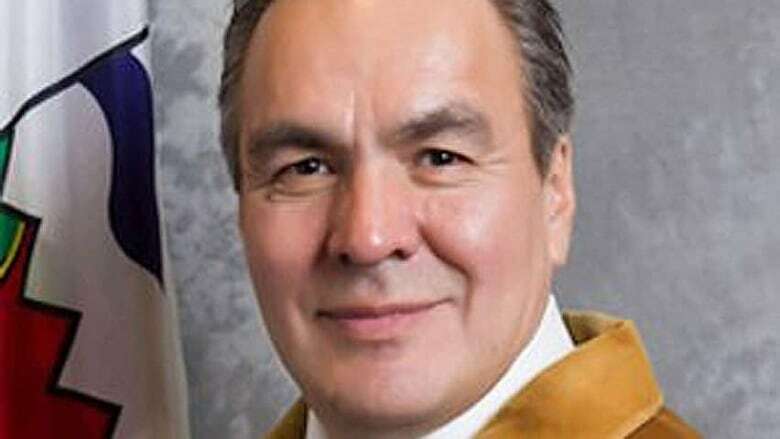 Sahtu MLA Norman Yakeleya says he supports the practice of hydraulic fracturing — better known as fracking — despite the concerns being voiced by some in his region. Last week the N.W.T. government held meetings in Fort Good Hope, Norman Wells and Tulita to get feedback on its proposed new rules for fracking in the territory. Some attendees said they didn't know enough about it to properly weigh in and felt it should not be allowed until more is known. Sahtu MLA Norman Yakeleya acknowledges there are a lot of fears about hydraulic fracturing, but says half of the things said about the practice aren't true. But Yakeleya says he's convinced the practice — needed to unlock unconventional sources of oil and natural gas — can be done safely. "There's a lot of this fear, partly because we don't know a lot about it," he says. "I was also very scared when I first heard about it and the possibilities, until I started looking into it and started reading [about] it. Half the stuff they're saying about it isn't true." Yakeleya says the Sahtu needs the jobs provided by oil and gas exploration because too many young people in the region are turning to booze and bootlegging due to the lack of employment. People who promote getting off fossil fuels are in "la la land," he says, adding that small communities depend on fossil fuels, and so should benefit from them. In February in the legislative assembly, Yakeleya said some constituents had written him to ask what the government was doing to counter the anti-fracking movement. "They're asking what's going on here, what is the government doing to deal with this, because it could be the death of our economic development in the Sahtu region," said Yakeleya. Meetings to discuss the draft fracking regulations were planned to take place in Nahanni Butte and Fort Liard this week but were cancelled due to bad weather. The territorial government says the meetings will be rescheduled, probably for June. Meetings in Yellowknife, Deline and Colville Lake are currently slated for that month.